What are the institutional conditions? Based on these dimensions a more elaborate Assessment Model was created and continuously refined. It was inspired by an assessment model from New Zealand on cycling and built based on the input by the participants of the workshop in New York in 2009. 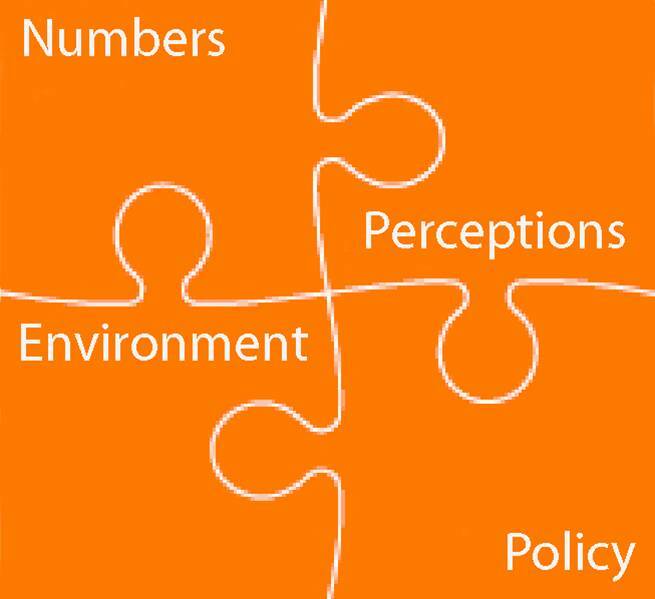 The Model distinguishes four pillars: ‘input’ which deals with the institutional framework (e.g. 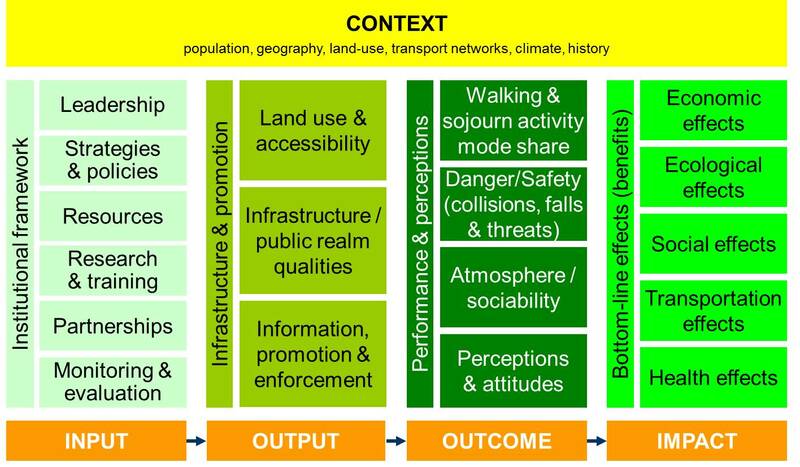 policies and resources); ‘output’ which describes, for example, land-use patterns and the extent and quality of the walking infrastructure (walkability); ‘outcome’ consists of the resulting walking activities (e.g. number of walking trips) and the perceptions of people and, finally, ‘impact’ describes the broader economic, ecological and social effects. This framework allows to monitor and evaluate walking comprehensively.